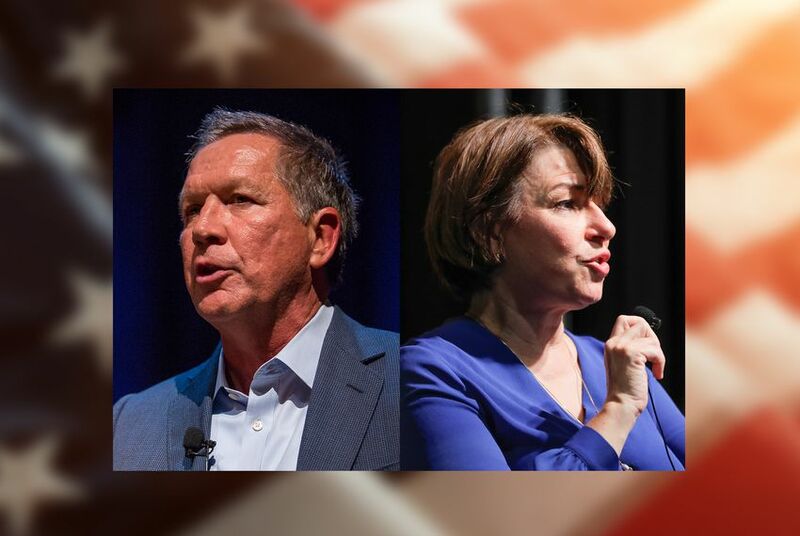 The two-day event — a subset of the South by Southwest festival — will feature Democrats and Republicans with an eye on the 2020 presidential race plus the Trump-supporting top Republican in the U.S. House. The race for the White House is coming to Austin in less than two weeks, courtesy of The Texas Tribune and South by Southwest. Our nonprofit news org is collaborating with the world-beating media, culture and ideas conference on a just-announced two-day event featuring hourlong interviews with some of the nation’s top political leaders. Some are declared presidential candidates. Some have considered a 2020 race. And one, the top Republican in the U.S. House, is a surrogate for President Donald Trump and supports his bid for re-election. Conversations About America’s Future, as the event is branded, is a subset of SXSW and will take place at ACL Live at The Moody Theater — the downtown venue that is home to Austin City Limits tapings. Yours truly will emcee the festivities. We kick off on the morning of Saturday, March 9, when U.S. Sen. Amy Klobuchar, D-Minn., will be interviewed by Kara Swisher, co-founder and editor-at-large of Recode. The rest of the day’s schedule: former Gov. John Kasich, R-Ohio, in conversation with Washington Post associate editor David Maraniss; U.S. Sen. Elizabeth Warren, D-Massachusetts, with Time contributor Anand Giridharadas; Pete Buttigieg, a Democrat who is mayor of South Bend, Indiana, with Ana Marie Cox, the host of the Crooked Media podcast “With Friends Like These"; and former Gov. Bill Weld, R-Massachusetts, with Wired contributing editor Garrett Graff. On Sunday, March 10, our first conversation is with Democrat Julián Castro, the former secretary of Housing and Urban Development, who will be interviewed by HuffPost editor-in-chief Lydia Polgreen. Also that day: former Gov. John Hickenlooper, D-Colorado, with BuzzFeed editor-in-chief Ben Smith; and U.S. House Minority Leader Kevin McCarthy, R-California, with Politico senior writer Jake Sherman and senior Washington correspondent Anna Palmer. Additional conversations will be added to the Sunday lineup shortly. The Tribune’s mission, as you know, is to raise the level of civic engagement in Texas — and out — through serious conversations about the future. That’s why we’re so pleased to be working with SXSW on this ambitious undertaking. Conversations About America’s future will be open to all SXSW badge-holders, but the Tribune will be livestreaming the whole weekend. Hope to see you there — physically or virtually.